A prototype of our butterfly pendant. Intricately-cut brass metal and 24 K gold-plated. 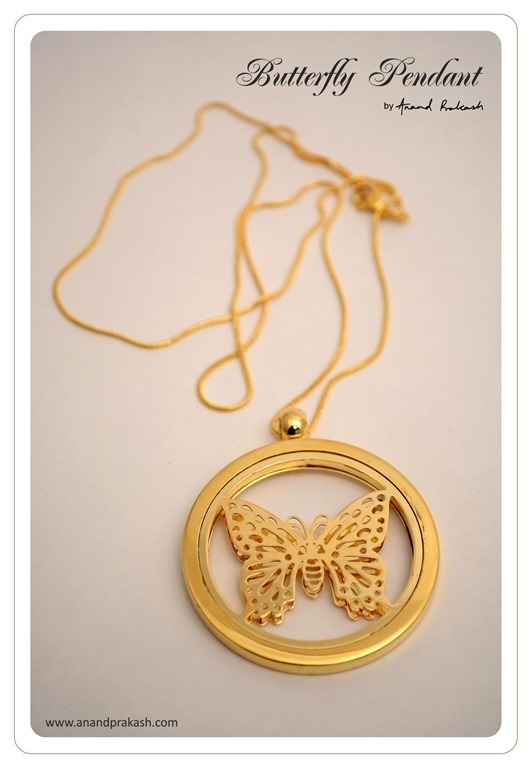 This entry was posted in Whats New and tagged Anand Prakash, Butterfly Pendant, Gold Plated, Jewelery. Bookmark the permalink.